The MXL 604 is a small diaphragm condenser with transformerless FET electronics based on the classic Schoeps circuit. This model differs from the 603S in that it features a switchable -10dB pad and high-pass filter -- though these two features are on a single "either-or" switch. 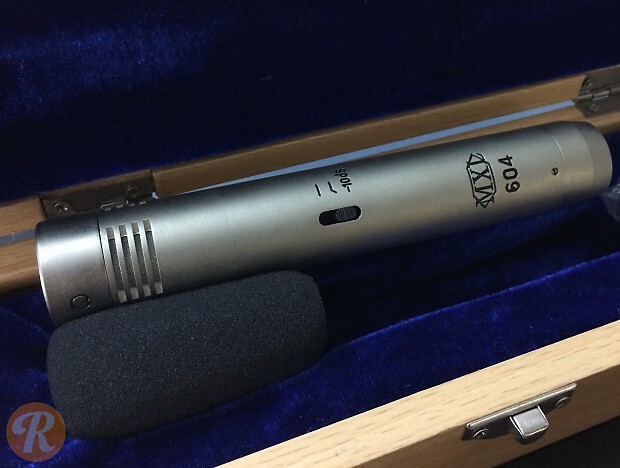 The cardioid capsule which ships with the microphone is patterned after the Neumann KK84, and the omnidirectional capsule from the 604 model can also be used on the 603's amplifier.